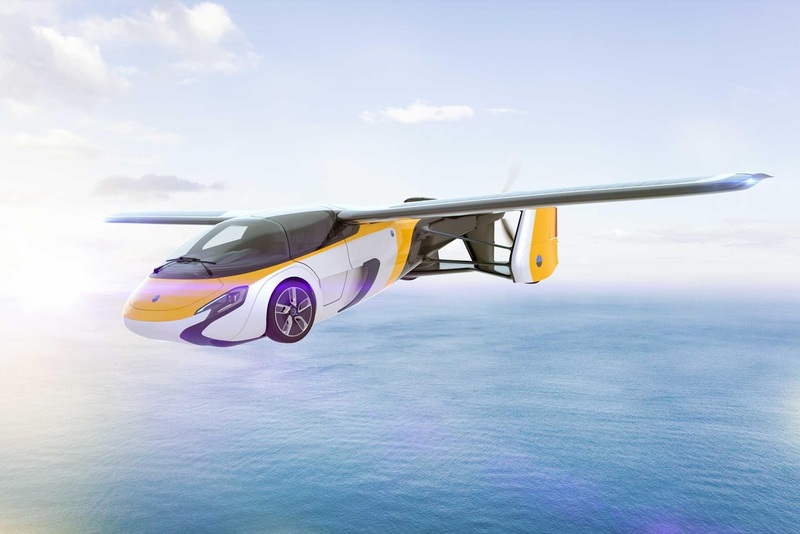 Fossbytes Review calls this vehicle the world's classiest flying car. AeroMobil, a Slovakia based company, has had it under development for a number of years. They call it a "roadable aircraft" and a flying car. With the AeroMobil 4.0, it's a high flying combo. It's being showcased at global Auto Shows and is set for production in 2020. AeroMobil 4.0 is in the testing phase right now. What's intriguing is that it delivers "efficient" intra-city travel up to 621 miles, which is more than double what most electric VTOL(Vertical Take-Off and Landing) passenger drone concepts deliver. The company says it has an innovative combustion engine with highly advanced aerospace and automotive technology to achieve every efficiency, speed and range over other electric VTOL's. The vehicle uses a hybrid electric motor on the road supplemented by solar panels on the wings. It has a driving range of 62 miles. Top driving speed is 99 mph and it accelerates from 0 to 62 mph in 10 seconds. In the air, it's powered by a 300 hp combustion engine. The flying range is up to 466 miles and it flies up to 223 mph. There's also an autonomous autopilot system for flight and parachutes in the event of an air emergency. Another fascinating point about this "roadable aircraft", the company says it was designed within existing regulations. They say it will go to market in 2020 and can be bought by private owners that year, well before other electric VTOL vehicles. In fact, on their website, you can order now. The company hasn't disclosed the price, other than to suggest "it would set you back hundreds of thousands of Euros."